Currently, the development of many business enterprises has narrowed the market gap of clients. Be it a business entity, company or shopping centers, many people and willing entrepreneurs have ventured into it. 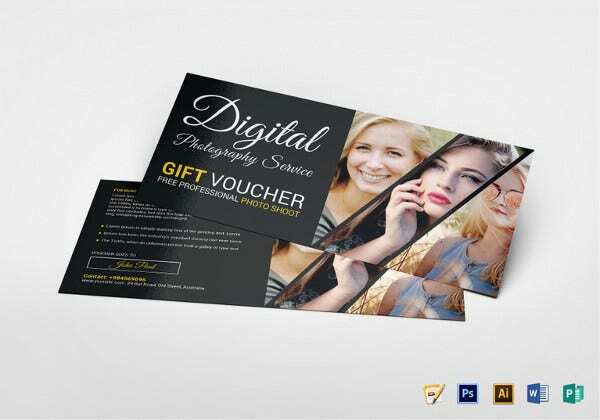 This has increased the competition for clients. 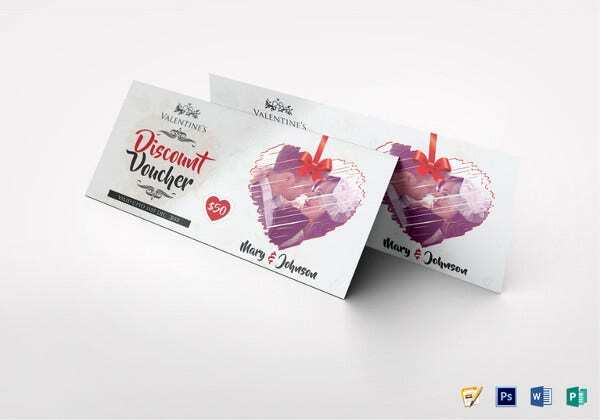 Creativity has therefore led to the introduction of various items, vouchers being among them to attract customers and aid in retaining the current clients. They can also be used to record transactions of a business firm. 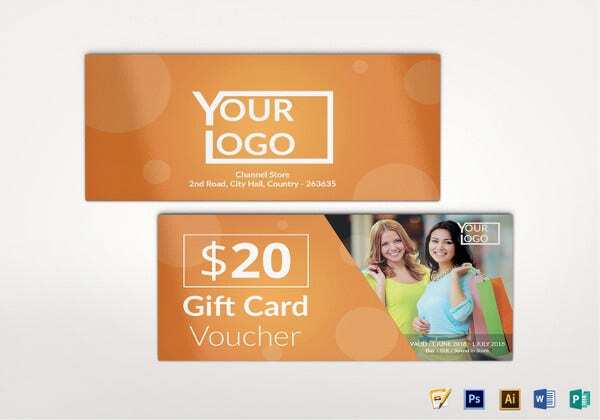 With a customer eyeing to get a voucher template provided by the company, one will be encouraged to continue and impulsively buy to get it. 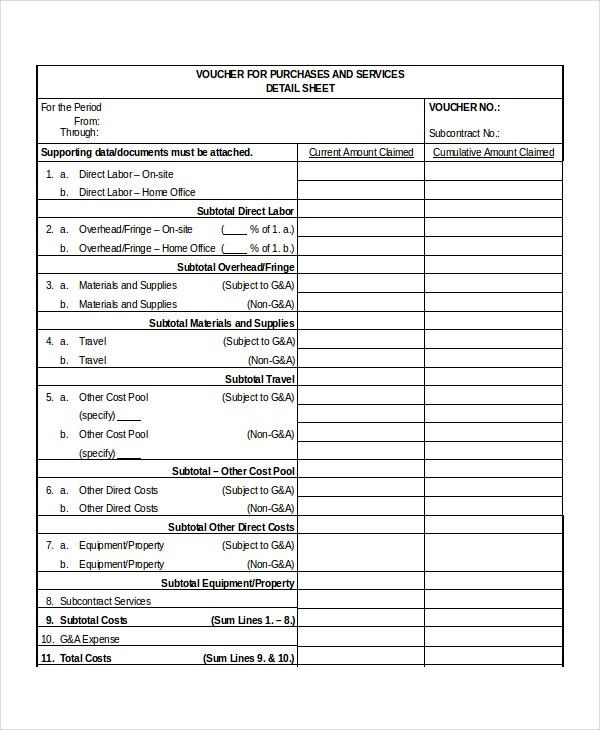 You can also visit Expense Voucher Templates. 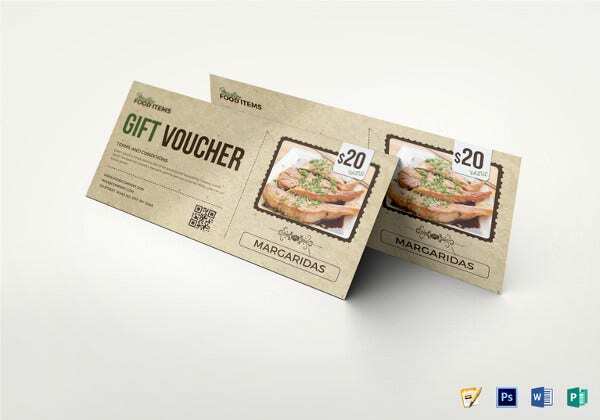 They are vouchers that are prepared to show any money that has been received by a firm. There are various ways that a company or a business may receive cash. Such could include cash sales, payment from clients, advanced payments, commissions and many other forms. 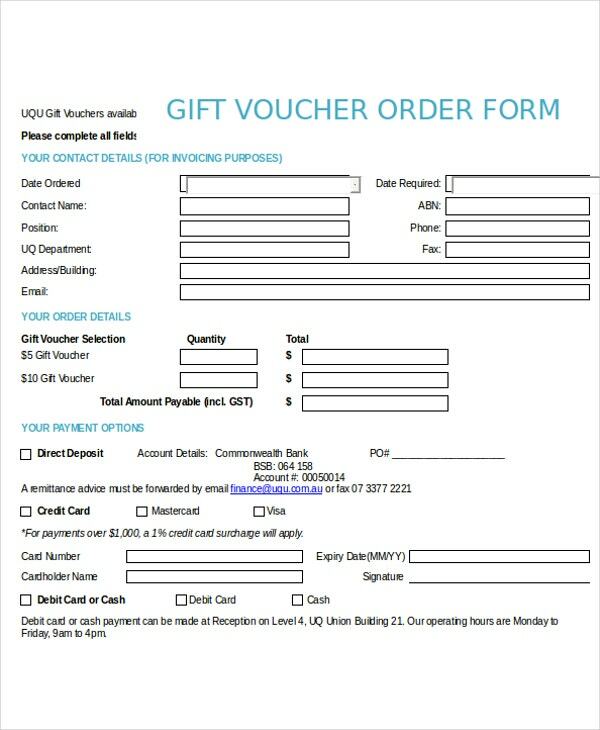 Receipt voucher templates are issued when money received comes in the form of cash, checks, drafts or pay orders and direct bank transfers. 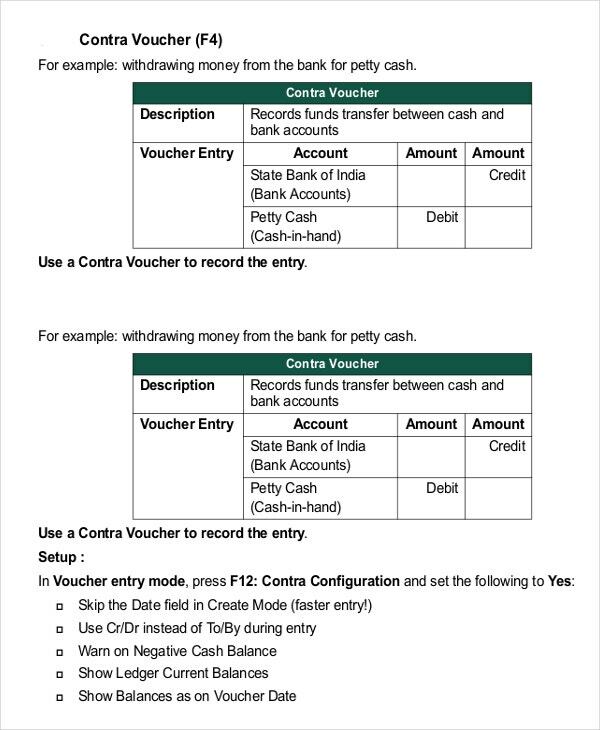 In this way, voucher issued to any payments made by cash is called a cash receipt voucher while those in the form of checks, bank transfers are bank receipt vouchers. 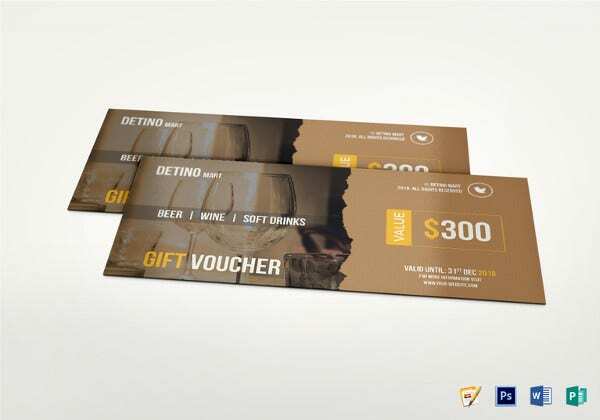 The Payment vouchers template is used as a proof that a monetary transaction has occurred or gone through successfully between two parties or businesses. This can be in the form of cash, or it can indicate that an invoice was approved successfully. They are used as a proof of any cash withdrawal or cash deposits. They should be prepared by a company if any money is withdrawn from the bank, deposited to the bank or transferred from one account to another of the same company. 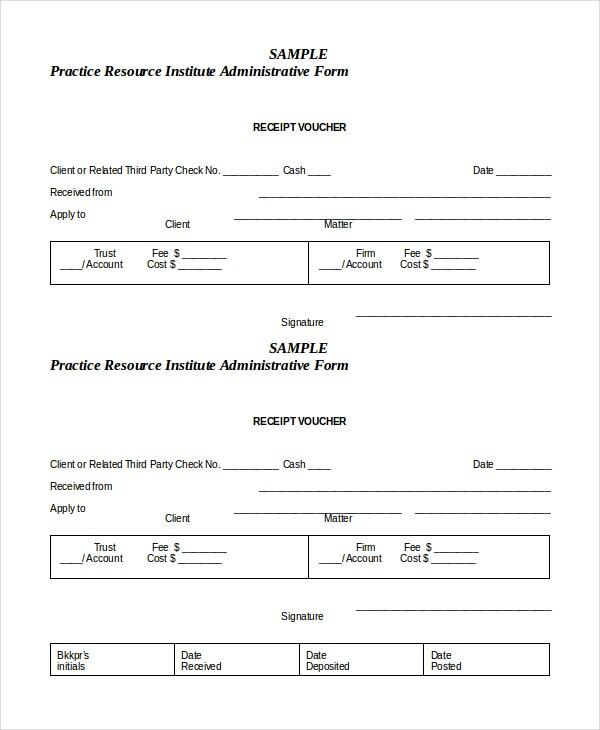 Source documents for this type of voucher include bank pay in slips, checks book counterfoils or other supporting documents provided by the bank. It is prepared in case a material or a purchase originally made is returned to the supplier. There are factors that can make you return the goods to your supplier. 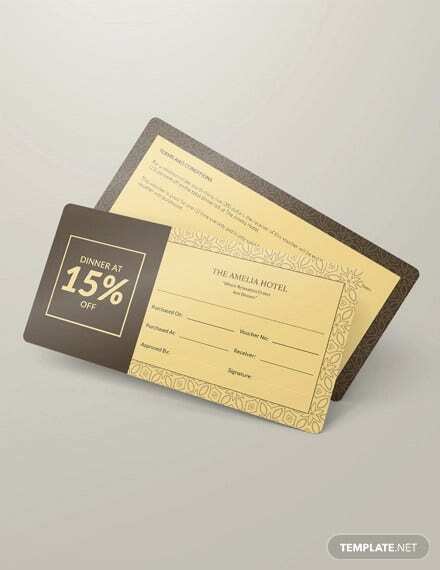 You should, therefore, debit the business account and credit the purchase return side of the voucher. 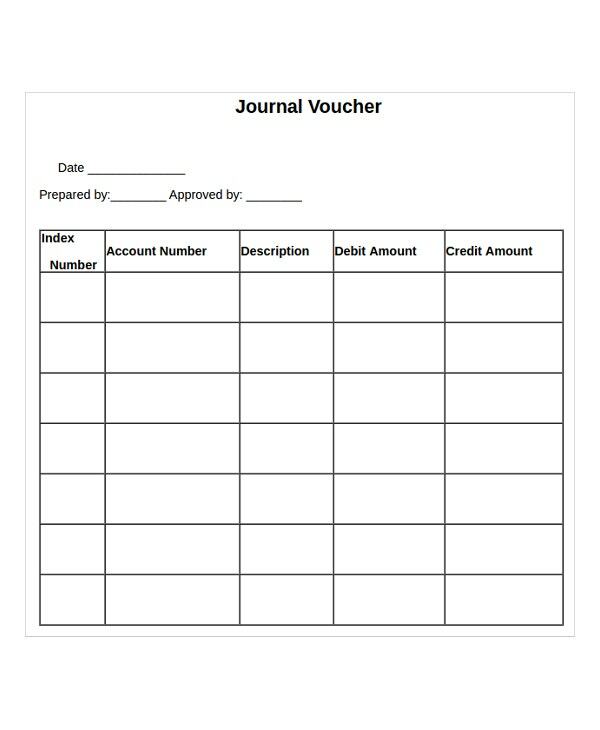 A Journal voucher template is a written document that authorizes any financial transaction that meets the basic requirements. It is a vital component for audit purposes. It is prepared by a business that has purchased goods for resale or for use in the production process on credit. 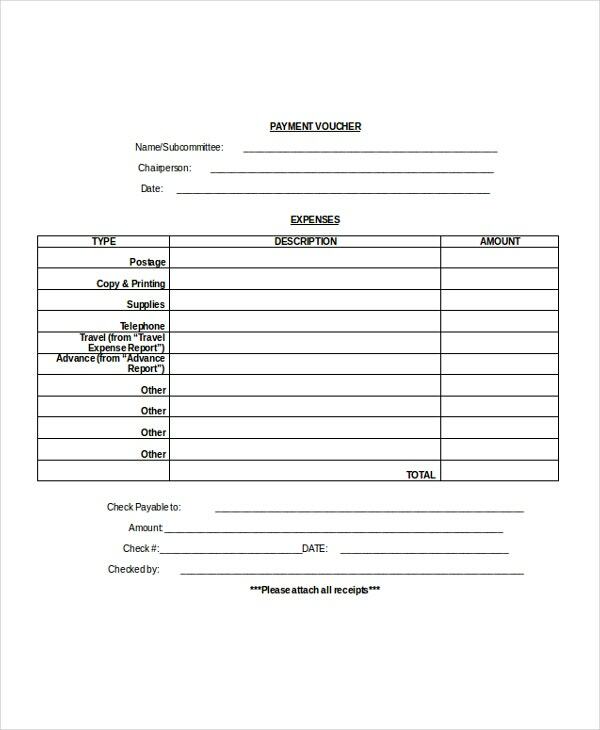 Its basic source document is the purchase bill or a purchase invoice provided. While preparing, the purchase account is debited while the suppliers account should be credited with the exact amount of the invoice. 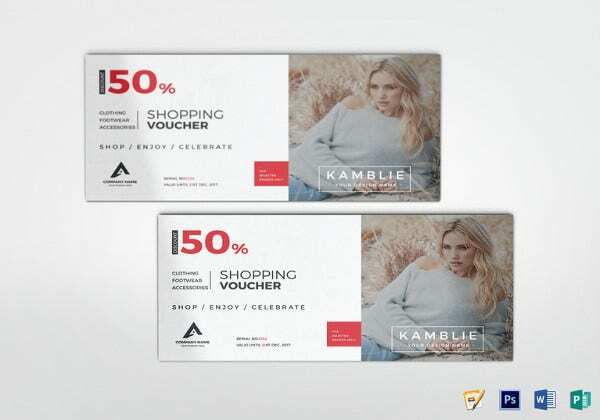 A sales voucher is an important financial document prepared for any amount of goods or services sold or provided on credit. The clients account is debited while the sales account is credited with the full amount of the invoice. They are used to record all the actual stock after keen counting and verification. 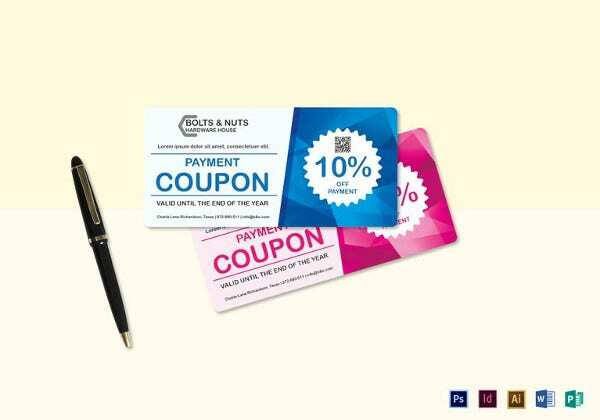 Going through this voucher will provide you with all the available stock in a company. 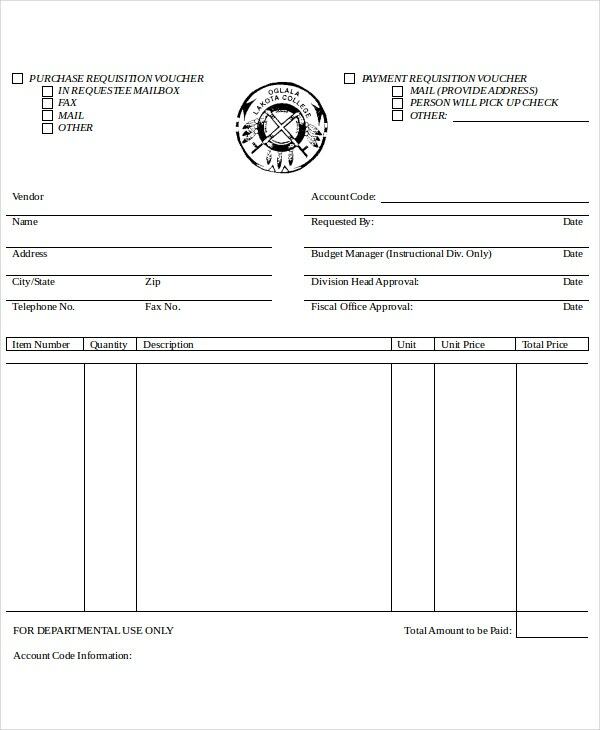 Physical counting of the goods in stock provides a physical stock voucher that is used to counter check the computer value. Some discrepancy may occur between the actual stock and computer value. Physical stock counting is, therefore, essential. They are used in a similar way as the inventory system in the accounting vouchers. They are crucial for entering transactions that relate to the inventory. They record or capture all the transactions that relate to issue, receipt, and transfer of stock and physical stock variations. 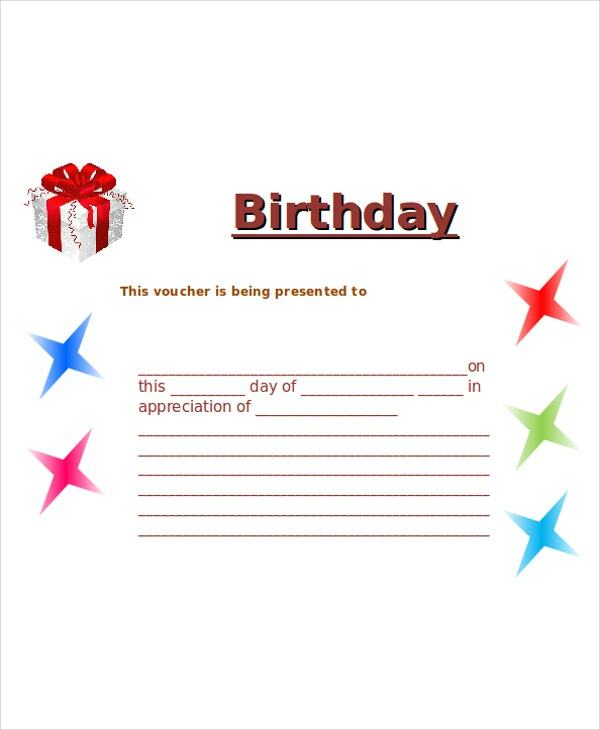 > What Is a Voucher Template? From the introduction, you can have a clue of what this item is. 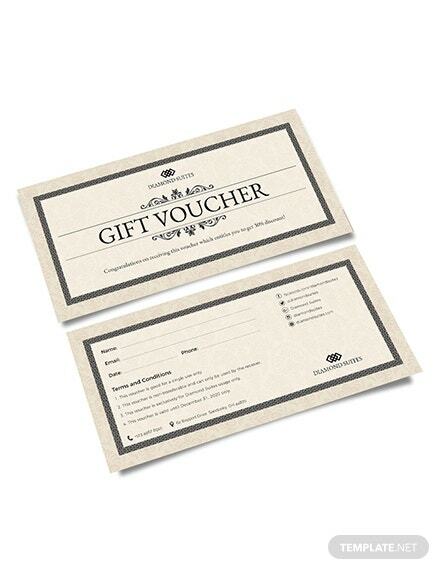 A voucher is a product worth a certain amount of money that can be spent for specific goods. They are provided by companies, shopping centers, housing industries or travel and food entities. 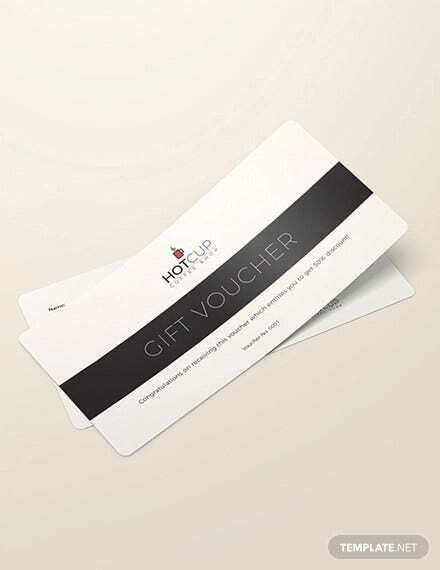 They are mainly aimed to reward loyal clients. 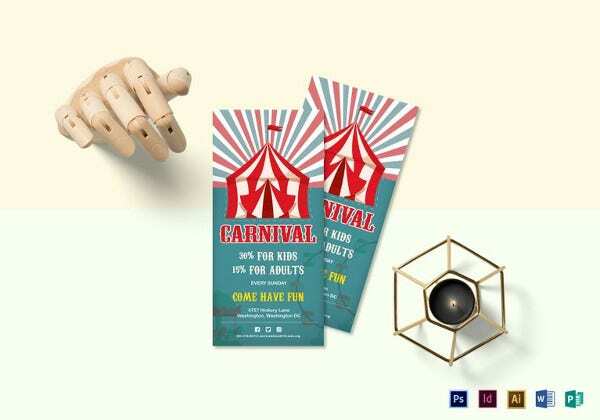 In addition, they are also used to attract new clients who buy or use the services with the goal of getting the prize. It can also be used by businesses to provide proof or show authenticity that a transaction took place. They provide a proof that a given transaction took place for audit purposes and transparency in a business or a company. 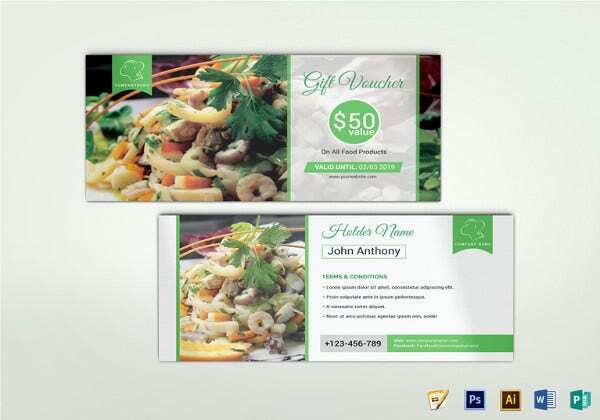 Coupons are also a special way of saying thank you to loyal clients of a business. This makes the customers feel special thus encourage them to use the services or purchase more from the organization. They can also be used to advertise and increase the buying of slow moving stock. 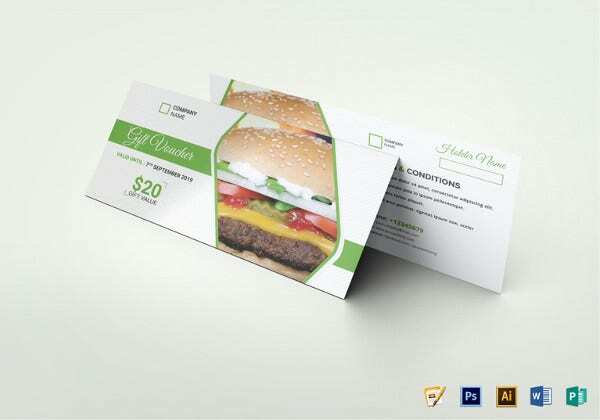 A voucher contains a debit and credit parts. 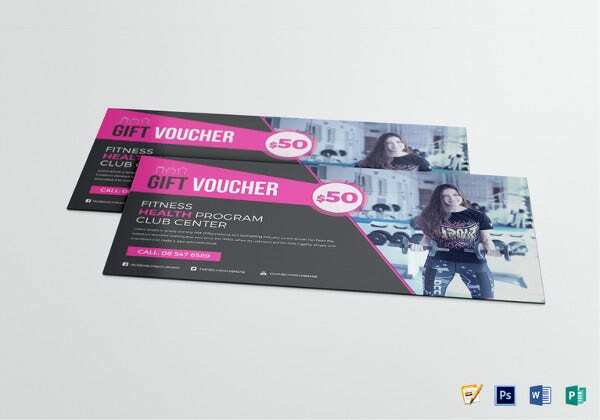 Preparing a voucher, therefore, follows a double entry system where either parts or sides are filled in. For instance, when goods are purchased from our business, you should credit your account and debit the account of the client. You should always ensure that both sides are filled or entered to balance the result. Currently, there has been technological adjustments and developments that have resulted to the computerization of all this system. 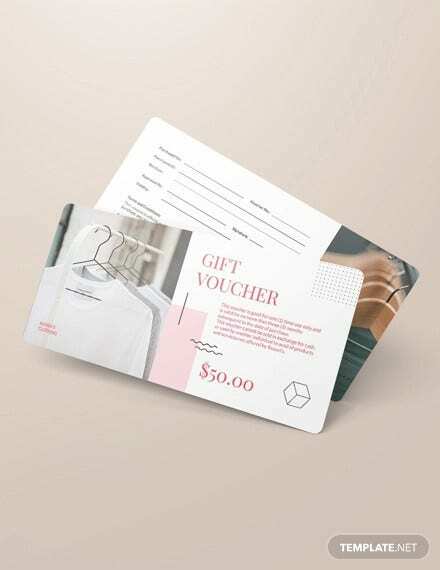 Creating a voucher is the duty of an accountant. They, therefore, fill in the values and the computer software completes the task. 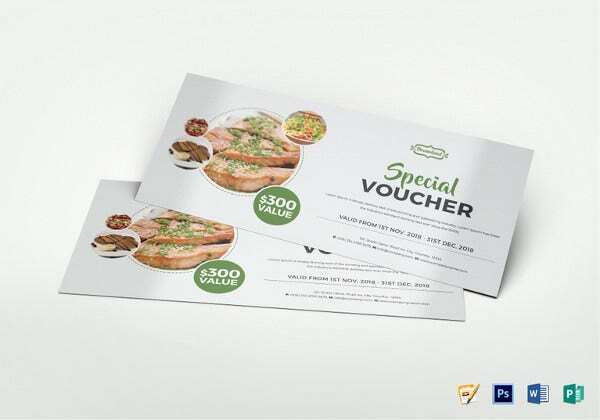 You should always indicate the date of transaction on the voucher. 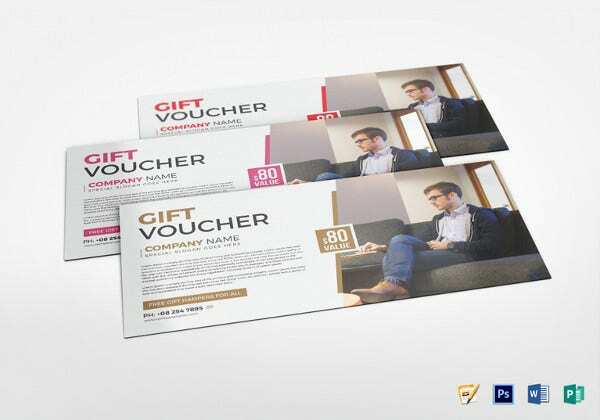 Numbering the voucher is essential to ensure easy follow-up and trace. The amount of money involved in the transaction should be indicated both in numbers and in figures. 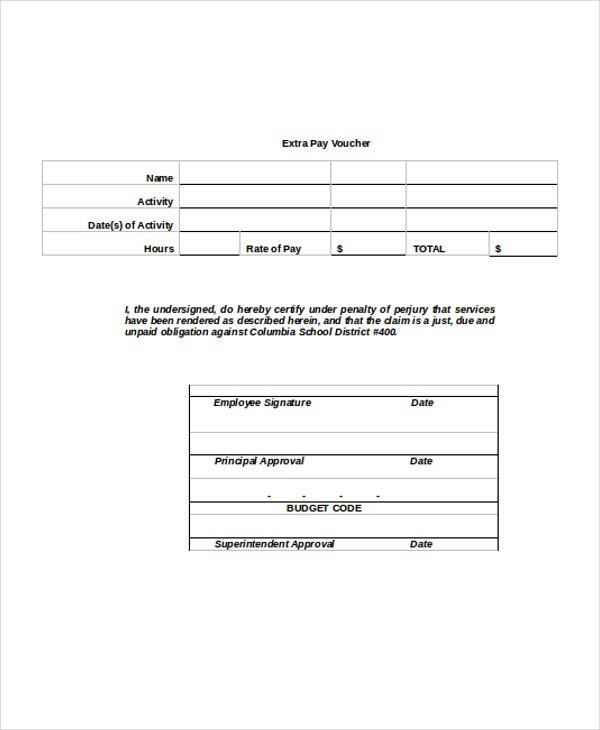 The receiver of the money or the individuals involved should sign. 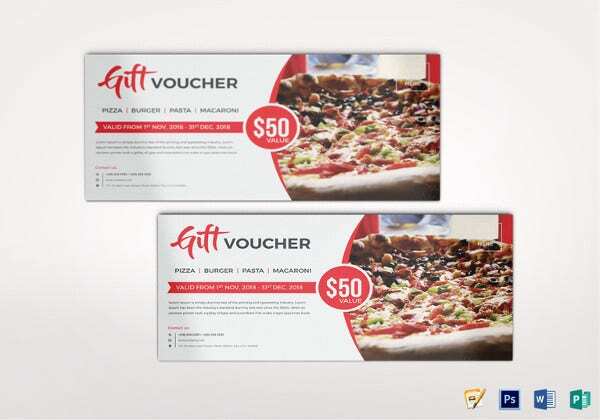 A copy of the receipt issued for the voucher should be attached to it. 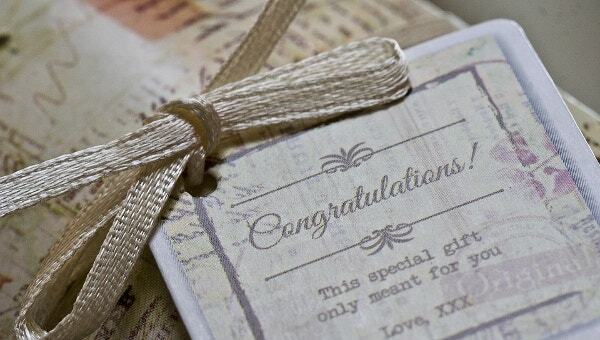 Do always ensure that you issue the voucher immediately to avoid mixing up of other transactions. 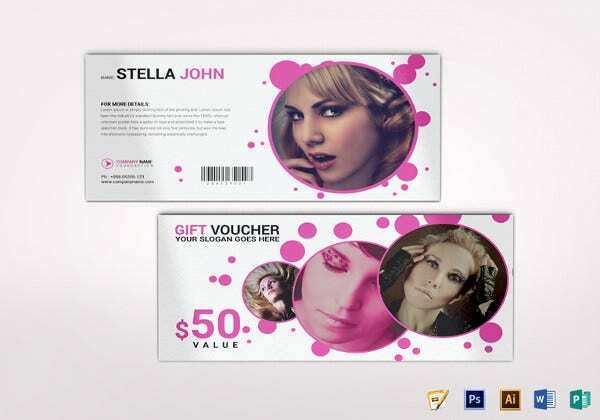 For coupons, get the voucher to the clients in an appropriate time. Do record all the essential information that is essential to facilitate and validate the transaction. 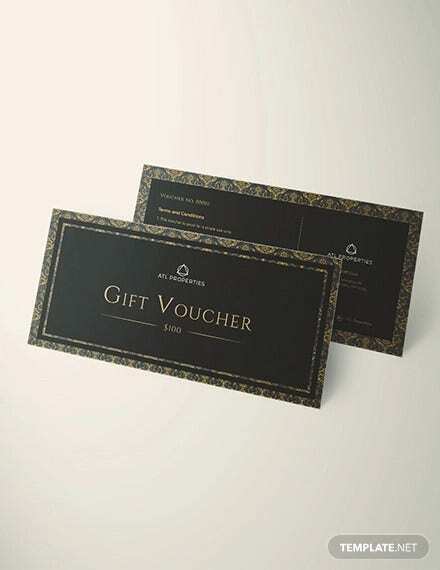 Do not ignore any information that is required in the voucher.